this article was put together to assist those who could not continue their post utme screening registration because their records could not been found on their school registration portal. so many candidates who did a change of course are finding it difficult to register for their post utme screening exercise as they are getting “No Record Found “. once you get the message “No Record Found” that means your attempt to complete your post utme registration has come to an end and this is quite frustrating when the post UTME Registration closing date or deadline is almost at hand. 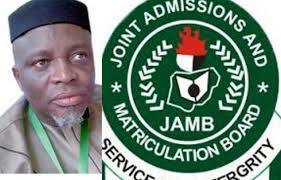 But jamb boss has come out to calm the nerves of all candidates that have been affected by this ugly incident, he further said the exam board will soon compile a list of all candidates who did change of institution and course to their respective schools for update. You might be worried about the closing date, well jamb has instructed all schools to give special consideration to candidates and also to extend the earlier closing date as to accommodate those who are yet to complete their registration. So don’t panic if you find your self in this mess, it’s not your fault, the problem is from jamb who have been very slow in sending names of those who did the change of institution and course to their respective schools. so keep your ear on ground and keep try to register each day that passes because soon your school will update theirs as we have started getting report of some schools that have started theirs. secondly you don’t need to go and get another jamb change of course and institution form..
be patient and allow jamb to follow all due process and I assure you that your course and institution will reflect in no distance time.